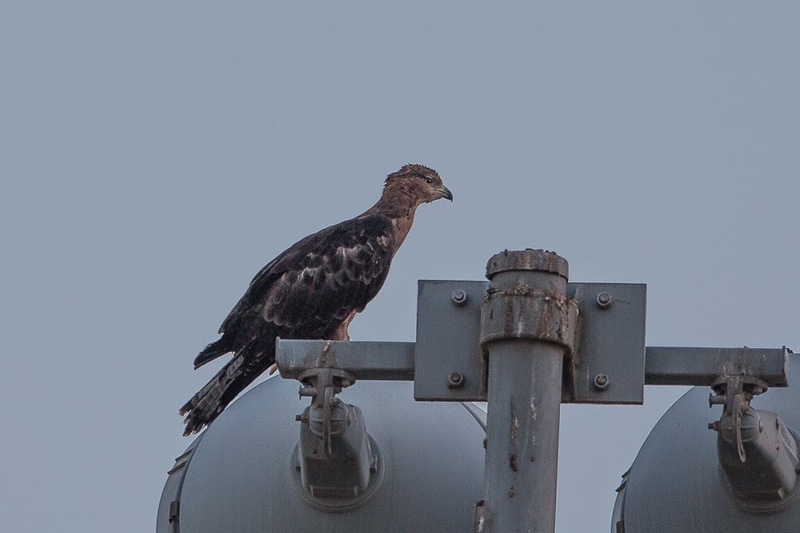 The second calendar year female Crested Honey Buzzard is still about in Dhahran, present since 8 June, in the golf course area. At 04:50 on 5 July I saw the bird with Mats Ris flying over the golf course and landing on a floodlight. I managed to take a couple of photos of the bird before it flew off after being disturbed by the noise of a grass cutter. 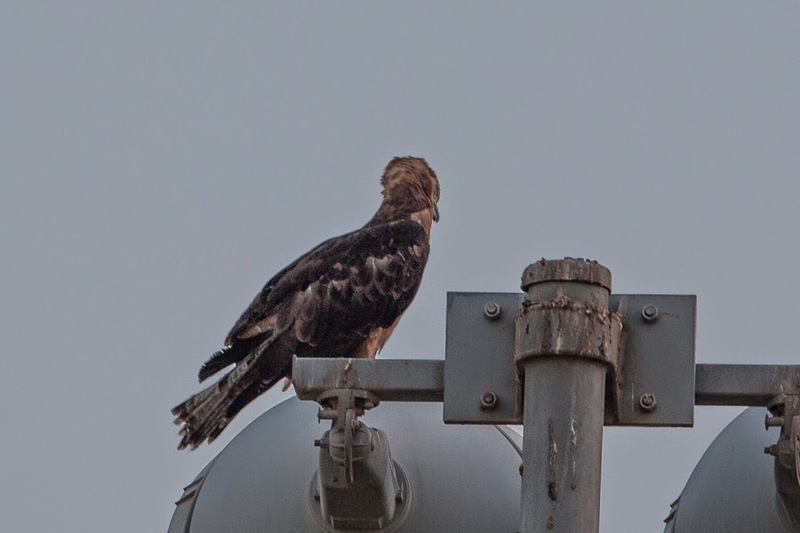 In Saudi Arabia information on the Crested Honey Buzzard is scarce although birds have been seen in every month of the year with the exception of August with peaks in the winter months of January to March. Small peaks also occur in April and October to November showing that the species is now a scarce passage migrant and winter visitor that also occurs rarely in summer. Most records are from the Eastern Province in winter and spring with additional records in the west of the Kingdom in autumn, winter and spring. The first confirmed records for Saudi Arabia were a second calendar year bird at the Raydah Escarpment (18.20N, 42.22E) in the Asir mountains near Abha, Asir Province, on 11 October 1994, with another second calendar year bird 5-10 kilometres south at Wadi Maraba on the same day. Both of these birds were in an extremely exhausted state with one being taken into care and subsequently released The only other records prior to the turn of the century appear to be two birds on 6 January 1999 and 25 February 1999 in landscaped areas within the city of Jubail in the Eastern Province but since this time records have become more frequent with at least 27 additional birds seen. 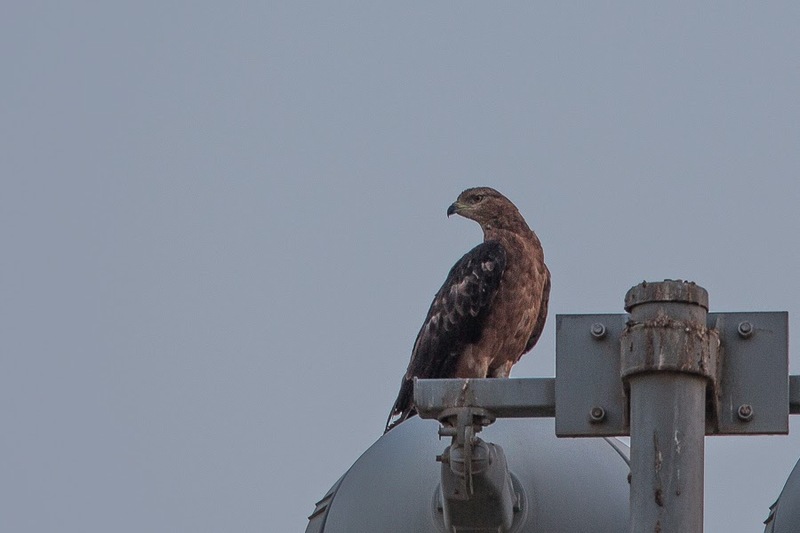 Summer records are rare with this being only the third occurrence, one in Dhahran, Eastern Province in July 2011, one in Tanumah, Asir Province in July 2013 and this bird.